In case you missed it I shared my new happy place, our front porch is all decked out for fall! I had so much fun doing all sorts of small projects to update our little porch to make it fall-tastic. I had a little help when Emily from The Small Stuff Counts sent me some thrifted goodies for our Thrift Store Swap which inspired me to create these cute Fall Flower Pots. Do you remember the DIY sign I shared a few months back. That was our first swap and we all had so much fun we decided to do it again and add some more members. The idea is the same-we each shop a local thrift store and find something that needs new life and ship it off to another blogger round robin style and share our creations on our blogs. These square vases came to me from Emily. They are ceramic and a deep dark brown color. Since are posting in the fall I knew these guys just needed a slight update to make them fit in on our fall porch. You might be surprised after reading the fall porch post to learn that I didn’t spray paint these vases. Instead I thought they could use some burlap love!!! I had some burlap left over from another project. I found this at the craft store but I’ve provided my Amazon affiliate link above for you. Just wrap the burlap ribbon around the vase using hot glue as you go to secure it in place. 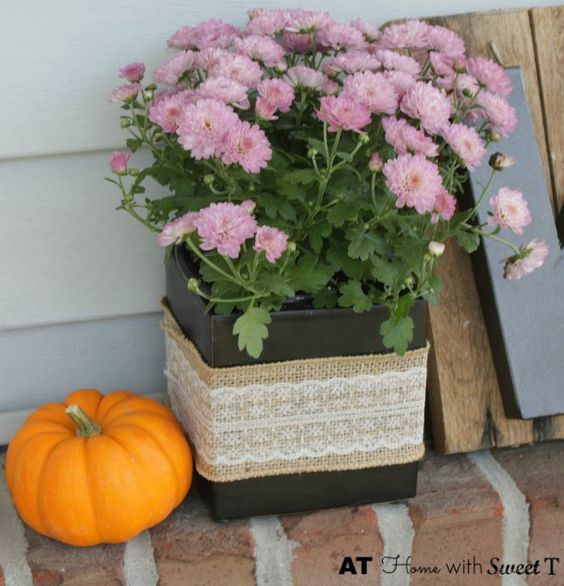 Since I was including these pots on our Fall Porch they needed mums. I think they fit in nicely with the fall decor. I can even bring them in to keep them going. That is what I sent to Brittany of DIY Just Cuz in our Swap challenge. Click here to see what she has done with them. 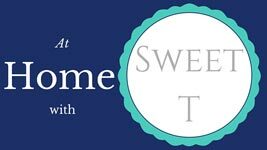 Be sure to visit all of the blogs in our Thrift Store Swap. I love this challenge and am so glad our creator Lyn from MidMichigan Mom shared her idea and created this fun challenge. burlap, flowers, thrift store, thrift store swap, upcycle. Bookmark.